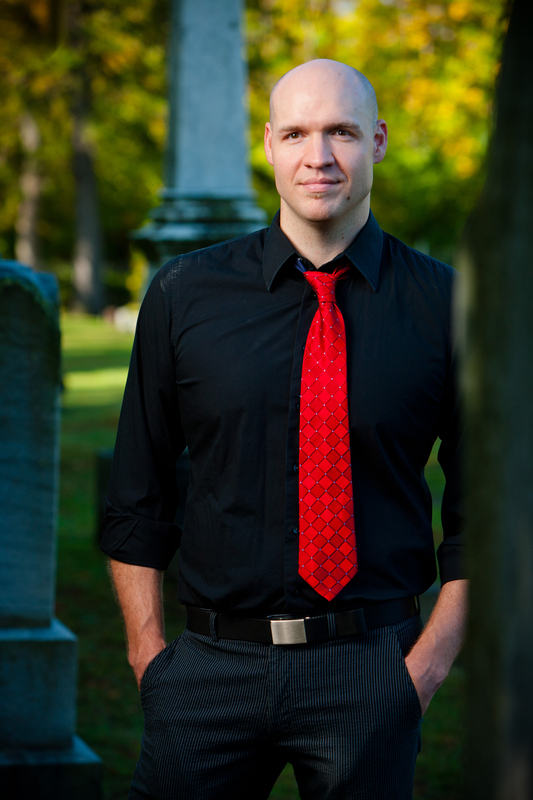 John Edgar Browning, an English adjunct professor, is a vampire expert and author of 12 books on the undead. BUFFALO, N.Y. — The zombie outbreak that has infected American popular culture will spread to the University at Buffalo this fall. John Edgar Browning, an English adjunct professor, vampire expert and author of 12 books on the undead, will teach “A Cultural History of the Walking Dead,” a seminar exploring the history and cultural impact of zombies. Over 15 weeks, students will delve into the mystery of why zombies have recently been so dominant in books, films and television. Browning designed the course after teaching a similar class, “Vampires and Zombies: Lifestyles of the Undead and (In)Famous,” which examined both types of monsters. He decided to move zombies into the spotlight after realizing his students were more captivated by the flesh-starved dead. The 50-minute zombie class will be taught once a week on Tuesdays as part of the Undergraduate Academies’ Discover Seminar Program. The course, offered through the American Studies department, is full, but Browning will allow a few more registrants to enter. As the class progresses, students will begin exploring the West African and Haitian Vodou roots of the zombie, and track the creatures’ transformation in popular culture from magically possessed people forced to do the bidding of evil landowners, to masses of rabid corpses. The seminar will examine primary texts that detail zombie sightings in Haiti, along with horror and science fiction writer Richard Matheson’s “I Am Legend,” a book Browning credits as the creator of the modern zombie craze. Browning will place a heavy emphasis on film as well, and plans to show George Romero’s “Night of the Living Dead,” a movie that he believes perfected the modern zombie. Through movies, students can identify the cultural and political ideals of a period and uncover what scares us. Whether the films depict natural disasters, technology gone awry or deadly viruses, they give viewers a way to indirectly consider the problems of their time. It’s no coincidence zombies became popular around the same time as issues about gun control in the United States, says Browning. People have projected their fear of losing the ability to protect themselves onto attacks by zombie masses. “The Walking Dead” is one of the most watched shows on television, and the film “World War Z” grossed over half a billion dollars at the box office. Both depict a zombie apocalypse where survivors rely on guns to protect themselves. The rage has spilled beyond the big screen, as arms manufacturers now sell zombie-specific firearms and ammunition. Doomsday prepping, which involves preparing for a catastrophic event by stockpiling weapons and supplies, is a rising trend as well. Although zombies are often portrayed in media as mindless, it is apparent these and other nightmarish creatures have much to teach us about ourselves, said Browning.